Alta Vera is your destination for convenient condo-like luxury living in the heart of Capitol Hill! Cross the street to enjoy Nicolo's Pizza, Thump Coffee, Whole Foods, and Cheesman Park. Spacious apartment homes with full-size washers & dryers, wood plank floors, granite countertops & private patios provide the feeling of being truly at home. With an amazing neighborhood, central location, and proximity to the Denver flair, the Alta Vera exemplifies all the best parts of living in this beautiful city. Love where you live, and live Local by Laramar. 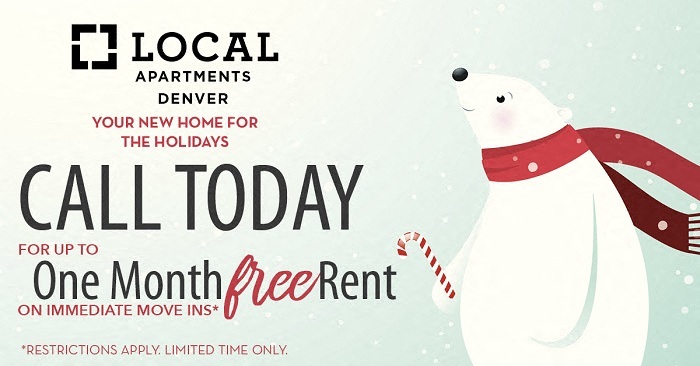 1 MONTH FREE RENT NOW! !